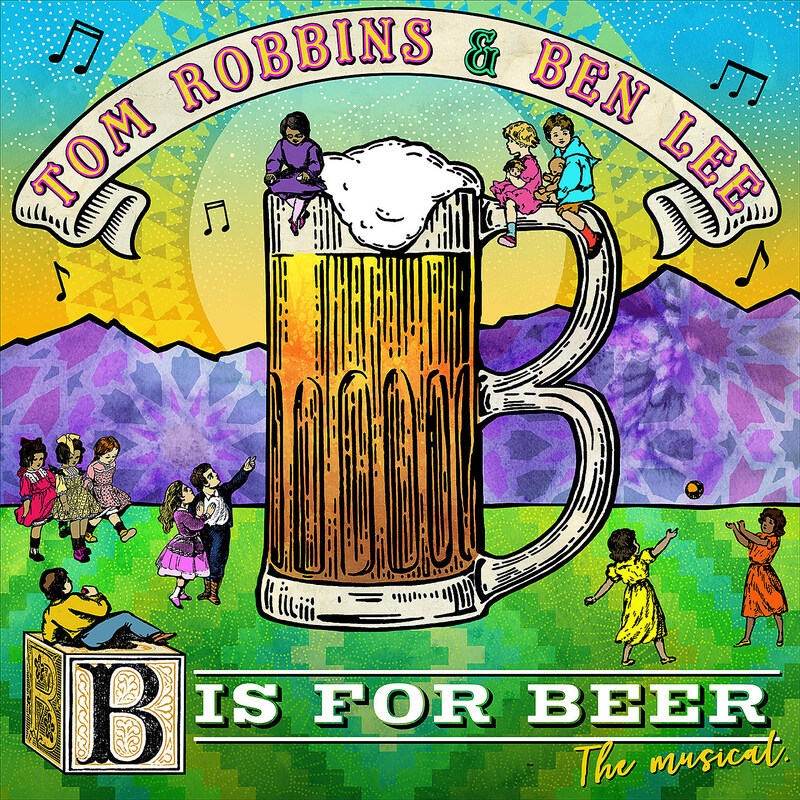 Australian singer-songwriter Ben Lee is working on a “psychedelic musical” adaptation of author Tom Robbins‘ 2009 “children’s book for grownups” B is For Beer. Robbins, who is probably best known for his 1976 novel Even Cowgirls Get the Blues, has been working with Ben on the musical for the last eight years, and it is described as a “surprising, far-reaching investigation into the limits of reality, the transformative power of childhood, and, of course, the ultimate meaning of a tall, cold brewski.” The B is For Beer musical had a workshop staging at Los Angeles’ Largo that featured Jon Cryer, Laura Silverman, Kether Donahue, Steven Weber, Paget Brewster, Cary Brothers, Alex Wyse and Sam Shelton. Before turning it into a full-on production, they’re releasing the soundtrack in September that features some of the staged version’s cast, along with Belinda Carlisle, Paul F Tompkins, Busy Phillips and Rose Byrne. Ben and Tom are funding the soundtrack’s production via Kickstarter which has nearly met its $50K goal with four days left to go. You can watch the Kickstarter video for B is for Beer, and watch Ben perform a few songs from it acoustically (as well as video featuring Belinda, Rose and PFT), below. Ben was also recently on Matt Besser‘s Improv for Humans podcast, talking about B is For Beer, playing a few songs from it, and serving as inspiration for the episode’s comedy. You can listen to that below as well. Meanwhile, Ben Lee and Josh Radnor have a couple Radnor & Lee shows coming up: Tuesday (6/26) at The Troubadour in L.A. (tickets) and Friday (6/29) and Saturday (6/30) at The Loft at City Winery in NYC (tickets). Radnor & Lee are currently working on their second album.